Authors are requested to follow guidelines before any submission of manuscripts. Well written and well prepared manuscripts are usually published within several weeks. Thus, submit articles following the guidelines of manuscript preparation. ​Before any submission prepare article on original and unpublished contents following Manuscript Preparation Guidelines of us. An article should have sections such as Title, Abstract, Introduction, Materials and Methods, Results and Discussion, Conclusion, References etc. Grammatical errors and spelling mistakes should be avoided throughout the manuscript. Citations in the text and all references should be present in the reference section. Authors are requested to visit Downloads section for model article, cover letter, copyright form and dedicated author guide for manuscript preparation. Please follow faster and easier Online Submission. Online submission helps faster processing and publication. Authors can email article to submit@journalbinet.com. ​After any submission acknowledgement is sent to corresponding author within 1-3 business days. Authors are requested to send Cover Letter and Copyright Form to editorial office as soon as possible. Publication of article delays without these forms. Authors receive Galley Proof of an article before publication after editorial tasks and payment of the publication fee. Authors should conduct proof reading responsively of their article thoroughly for common mistakes. Once an article is authenticated for publication, it will be published as soon as possible in the next issue of a suitable journal. Journal BiNET publishes article as online version in the website. All published articles are peer reviewed and open access for greater audience readership, i.e., immediately available at Scribd for readership within the website. Bibliographic integration and indexing of article with DOI is done for each article gradually. View Sample Article. A file should process preferably using Microsoft Office applications (word, power point, excel) and or in Open Office in English. The main file should be preferably saved as .doc/.docx format. Cambria, 11 font size should be used to prepare the manuscript throughout with [single] spacing except otherwise mentioned. Article should be typed on one side of A4 sized paper having margins of at least 25 mm around. The manuscript of full length research article must have segments and or sub-sections as 'Abstract', 'Introduction', 'Materials and Methods', 'Results and Discussion', 'Summary or Conclusion', 'Acknowledgements (if any)' and 'References'. Manuscript should be spell-checked and grammar-checked properly. A manuscript should be limited to 10 pages; but it could be of 15 pages where necessary. • Submit your manuscript by email to submit@journalbinet.com, or proceed through faster and easier [ Online Submissions ]. First page of a manuscript should contain the (a) Title (16 font size with bold), full name of the (b) Author and Co-authors (14 font size) along with the (c) affiliation/postal address of institution (12 font size) where the work was carried out. The (d) email of corresponding author should be correct and up-to-date (10 font size). Also, provide corresponding author phone or mobile number in affiliation section. Email address of each author is preferable. Title should be concise and informative as titles are often used in information-retrieval systems and represent scientific findings of an article. A title should be understandable to non-specialist readers; it should not be more than three simplified and short lines. A concise and factual Abstract (11 font size & in italic form) is required (maximum length 1250 words if necessary, but preferably limited to 750 words only). The abstract should state clearly purpose/background of the research, the principal results and major conclusions; it should convey the concept to non-specialist readers. Also, non-standard or uncommon abbreviations should be avoided, if essential must be defined within the abstract first. An abstract is often presented separately from the article, so it must be able to stand alone. The authors should provide 5-7 firmly established keywords below the abstract, these key words should not be from the title words. Each keywords first letter would be capitalized. Non-standard and uncommon abbreviations should be defined clearly in parenthesis (brackets, dashes or commas) when it used first time in an article text. Avoid putting abbreviation definition in footer. Ensure consistency of abbreviation throughout the article. State the objectives of the work and provide an adequate background, avoiding a detailed literature survey or a summary of the results. Only essential and related information should be presented systematically as if you are starting a story of science with necessary background and justification behind it. Objectives of any works should understandable from the introduction. This section should be brief but contain adequate details so that the work could be reproduced. It should include the materials used & studied, period/time of study, instruments used, procedures, chemicals and their sources, and related experimental details. Methods already published could be indicated by reference. Results should be clear and concise according to the objectives. This should explore the significance of the results of the work, not repeat them. A combined Results and Discussion section is often appropriate but not always. Avoid extensive citations and discussion of published literature. The key findings of the study should be presented in a short Conclusions section, which may stand alone or form a subsection of a Discussion or Results and Discussion section and or the author could integrate it during discussion if suitable and justified. Manuscript should have preferably a relevant conclusion (limit of 350-500 words) and should reflect the findings, importance and future scope. Place acknowledgements at the end of your article, including information on grants received, parties or personnel involved, before the references, in a separate section, and not as a footnote on the title page. List individuals who help you during you research work; be generous include people who helped you in laboratory, literature proofing, helped with data, English & grammar correction or any other assistance during your research. Please add acknowledgement before references section where applicable. Please supply, as a separate list, the definition of field specific terms used in an article. All tables in body text should be editable and not as images; there may be exceptions.﻿ Tables can be placed next to relevant page or in a separate page as necessary or even in separate page (s) at the end. Number tables consecutively in accordance with their appearance in the text. Place footnotes to tables below the table body and indicate them with superscript lowercase letters of 10 font size. Avoid vertical rules. Be sparing in the use of tables and ensure that the data presented in tables and or figures do not duplicate results described elsewhere in the article. Table titles are Bold. Table numbered as Table 01. Table 02. and so on. Citation in text as (Table 01). If your work is created in Microsoft Office applications (word, power point, excel) please supply 'as is' in the native document file format. If other application use for preparing images or graph or vector or lines or drawings; please 'save as' or convert the image in PDF or JPEG or TIFF where preferable resolution is 300 dpi. Color, gray scale or black-white picture is acceptable. Editorial office might ask for original/source/native files of figure. PLEASE DO NOT- Supply files or images which are optimized for screen use only, which typically have low number of pixels and limited set of colors. Do not supply files or images which are too low in resolution; and any graphics should be proportionately large so that concept could be understandable and meaningful for readers. Do not integrate several picture into a single one, rather create several individual figures. Figure Captions: Authors should ensure that each illustration has a caption. Supply captions separately, where necessary attached to the figure. A caption should comprise a brief title (not on the figure itself, unless vey necessary) and a description of the illustration. Keep text in the illustrations themselves to a minimum but explain all symbols and abbreviations used. Figure titles are Bold. Figure numbered as Figure 01. Figure 02. and so on. Citation in text as (Figure 01). We publish original research, review paper, case study, technical and method notes, survey reports, concept notes, short communications and perspectives. Broader article categories are shown below. Research article: This type of article is divided into typical and particular sections and subsections (i.e., Abstract, Introduction, Materials, Methodology, Results, Discussion, Conclusion etc.). Research objectives or hypothesis are usually well-defined and works end up with key findings or results or recommendations. Review article: This type of article may not be divided into typical sections but must be discussed systematically with proper headings, sub-headings, figures, tables etc. An abstract and introduction with review objectives; and concluding remarks should be present in literature review. Short communication: This type of articles discusses a subject matter which has new interest, attention or potentials in science. Typically might be consisted of an abstract, extended introduction; and may not contain well-defined results but provides some discussion on idea or scientific theme. Methods and protocols: Article which describe a new methodology on particular issue. 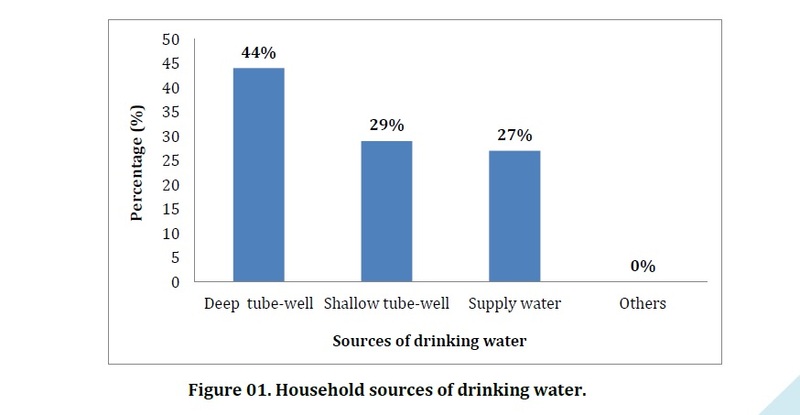 Case study: A study which include the development of particular issue(s)/situation(s)/system(s) for a locality and regions. Mark all cited references in article body text sections with different color. Hyperlink references with reference section. Please ensure references that are cited in the text, are also present in the reference section (and vice versa). Unpublished results and personal communications are not recommended in the reference list, but may be included in the text if necessary. References should follow the standard reference style of Journal BiNET which is an adapted 'APA Style Reference'. References should be arranged alphabetically, numbered and further sorted chronologically as and when necessary for a journal. More than one reference from the same author(s) in the same year must be identified by the letters 'a', 'b', 'c', etc., placed after the year of publication. Frank, R. H. and Bernanke, B. (2007). Principles of macro-economics (3rd ed.). Boston, MA: McGraw-Hill/Irwin. p. 79. Gibbs, J. T. and Huang, L. N. (Eds.). (2001). Children of color: Psychological interventions with culturally diverse youth. San Francisco, CA: Jossey-Bass. Young, R. F. (2007). Crossing boundaries in urban ecology: Pathways to sustainable cities (Doctoral dissertation). Available from ProQuest Dissertations and Theses database. (UMI No. 327681). Hammond, K. R. and Adelman, L. (1986). Science, values and human judgment. In: H. R. Arkes and K. R. Hammond (Eds. ), Judgment and decision making: An interdisciplinary reader, pp. 127-143. Cambridge, England: Cambridge University Press. Deming, D. and Dynarski, S. (2008). The lengthening of childhood (NBER Working Paper 14124). Cambridge, MA: National Bureau of Economic Research. Retrieved 21 July 2008 from http://www.nber.org/papers/w14124. Saheed, S. M. (1992). Soil Survey: perspective and strategies for the 21st century. In: J. A. Zinck, Editor, An International Workshop for Heads of National Soil Survey Organizations, ITC publication, No. 21, pp. 55-60, The Netherlands. ​NOTE: Referencing is (and or adapted) done through adaptation from Publication Manual of the American Psychological Association [APA]. How many references an article should have? There is no definite answer; it depends on the type of work done in the past and availability of literature. Still, we prefer quality over quantity and citation after the year 2000. Thus, in a qualitative paper 20-30 references would be required; in other cases or quantitative paper 40-50 references should be sufficient. Page number other than in journal article would be written as p. 10 and or pp. 10-15. Authors are requested to read and understand about the ethical matters of journal publications. More information can be found from http://publicationethics.org/. Authors have to add a section in article to declare funding sources (i.e., projects, university funds, ministry, research funds etc.) for the works of an article. Moreover, if there is any conflicts of interest about the research findings that might arise from interpretation of results should be declared by the authors in the article. Additionally, if author discover a significant error or inaccuracy in a published article, then it is responsibility of author to promptly notify the subject matter to editor and publisher of journal and cooperate substantially to correct an article. Conflict of Interest (COI) exist when there is a divergence between an individual’s private interests (competing interests) and his or her responsibilities to scientific and publishing activities such that a reasonable observer might wonder if the individual’s behavior or judgment was motivated by considerations of his or her competing interests. In case of Journal BiNET, COI exists when a participant in the publication process (author, peer reviewer or editor) has a competing interest that could unduly influence (or be reasonably seen to do so) his or her responsibilities in the publication process. Among those responsibilities are academic honesty, unbiased conduct and reporting of research and integrity of decisions or judgments. The publication process includes the submission of manuscripts, peer review, editorial decisions and communication between authors, reviewers and editors. Many kinds of competing interests are possible such as financial ties, academic commitments (i.e., strong belief may bias a research and its results! ), personal relationships, political and religious belief and institutional affiliations. Journals often have policies for managing financial COI, mostly based on the untested assumption that financial ties have an especially powerful influence over publication decisions and may not be apparent unless they are made explicit. However, other competing interests can be just as damaging and just as hidden to most participants, and so must also be managed (text adapted from http://www.wame.org/). All authors should have adequate contribution to the works or research in terms of conception, design, data collection, analysis, interpretation, drafting, intellectual standards, final approval, critical revision and key findings of a submitted manuscript; and listed and describe roles properly with affiliations and attributions. Authors are responsible for contents of an article, journal authority and or editorial board is not responsible for contents of an article. Authors pay fees for publication. All authors should seek proper approval against every works or actions or clinical trials from suitable/ethical/medical/govt./university/research station authority for conducting experiments/trials with animals and human subjects. This approval should be mentioned in the methodology section of an article and that consent was obtained for experimentation as and where necessary from relevant authority. Duplicate and multiple submissions are prohibited. If authors submit a manuscript whose basis is any of his previously published works, require to mention and cite it properly with the submitted manuscript. Submission of same article to more than one journal is unethical and unacceptable. Similarly, submission of similar type of works with identical text and parameters should be highly avoidable by author (s). Manuscripts that have been published (and or under processing and review) in English or other language elsewhere cannot be submitted for publication except in the form of an abstract or as part of academic thesis or academic lectures. A Cover Letter should be included with each submission to declare originality, authorship, type of article, background information and corresponding author. We are committed to publish articles which are based on original materials. A manuscript or some part(s) of it neither submitted/published elsewhere nor is under review/processing for publication elsewhere, may considered as an invalid or incomplete manuscript. On the other hand, manuscripts which are found to be plagiarized from other sources will be rejected for processing and publication and may be subjected to rectify by CrossCheck or PlagScan. Plagiarism and or copy-paste are strictly prohibited. Furthermore, any fabrication and falsification of article content is prohibited which extendedly considered for repeated content, image manipulation, data fabrication, faulty personal details, failure to abide by journal policy, unethical or erroneous papers etc. In case of those issues for a published article, once detected or reported, that article will be removed from systems with notifications to authors and or without any concern of authors. Authors have to deliver the list and order of authors during submission of manuscripts. Addition, rearrangement, deletion of authorship is permissible before the acceptance of a manuscript but it require approval from editor. Editor decision of authorship change is final. 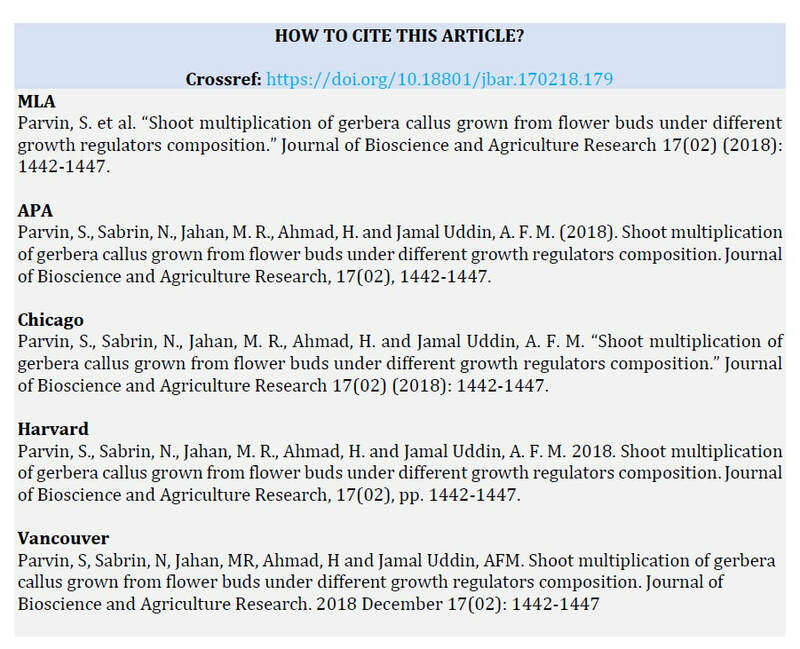 For authorship change the corresponding author should provide reason of change, letter or email from all authors that they agree with this change and or rearrangement, and any other relevant information. Published articles are freely available to read and download for everyone. Journals operate through open access model which require author (or institution, research fund) pays the publication fee to made article available online and archived permanently. All submitted articles to different journals proceed through double blind peer review and pre-defined editorial processing by editorial office. Please be informed, read and agree with our latest editorial and review policy online from the website (journalbinet.com): Editorial Policy. Submission of the manuscript represents that the manuscript has not been published previously and is not considered for publication elsewhere which is included in terms and conditions, and editorial policy. Authors are responsible for the contents appearing in their published article. Author retains the copyright along with Journal BiNET; but liability of their content and materials only belongs to authors of an article. After acceptance of an article, corresponding author is asked to complete and sign 'Copyright Transfer Agreement'. All articles published are open access; will be immediately and permanently free for everyone to read, share and download except otherwise stated. The following creative commons (CC-BY 4.0) license is used usually; but author could suggest/discuss with us for a other type of Creative Commons license for an article if necessary. Creative Commons Attribution (CC-BY 4.0): Lets others distribute and copy the article, to indexing, create extracts, abstracts, and other revised versions, adaptations or derivative works of or from an article (such as a translation), to include in a collective work (such as an anthology), to text or data mine the article, even for commercial purposes, as long as they credit the author(s), do not represent the author as endorsing their adaptation of the article, and do not modify the article in such a way as to damage the author's / publisher honor or reputation. Digital Object Identifier (DOI) is assigned for every article, it may be used to cite and link to published documents. The DOI consists of a unique alpha-numeric character string which is assigned to a document by the publisher upon the initial electronic publication. The assigned DOI never changes. After the primary acceptance, the corresponding author will be requested to pay the Open Access Publication Fee (and or Article Processing Fee) of USD 65 (SAARC country), USD 95 (Other country), USD 170 (Developed country), USD 50 (African country) or BDT 4,500 for the Bangladeshi. Except otherwise noted by a specific journal and or Editorial Office, for further processing and publication of an article with five author affiliations. Additional fees may be applicable for article authored by more than five authors. The payment notification will be sent to corresponding author email ID. Corresponding author can make the secure payment online and or offline as instructed by journal editorial office. Payment acknowledgement is provided to author within 3 business days. If any paid article is not published for unavoidable conditions, fees will be refunded to corresponding author excluding some nominal processing fee.